I’ve worked in grocery stores on and off since I was in high school. Every time I move to a new city I can usually find a natural foods store that’s willing to hire me. When I moved to Minneapolis to freelance I picked up another part time job as a grocery cashier. Through that I met Hannah, who has a small food blog. I asked her if she wanted to collaborate on doing some food photography, she was totally on board. 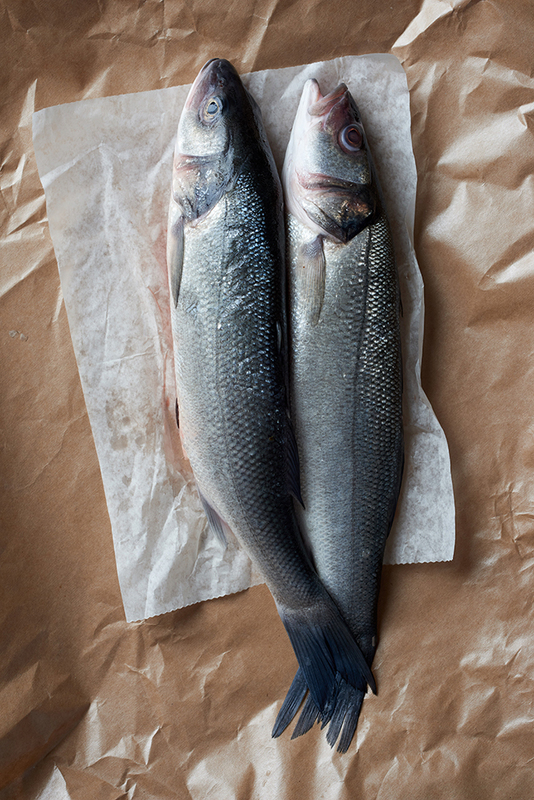 We went to Coastal Seafoods in Minneapolis and picked out a couple of whole Bronzini which, to me, look exactly like a classic fish haha. The size and color were perfect for what we were looking for so we decided to grab two of them. 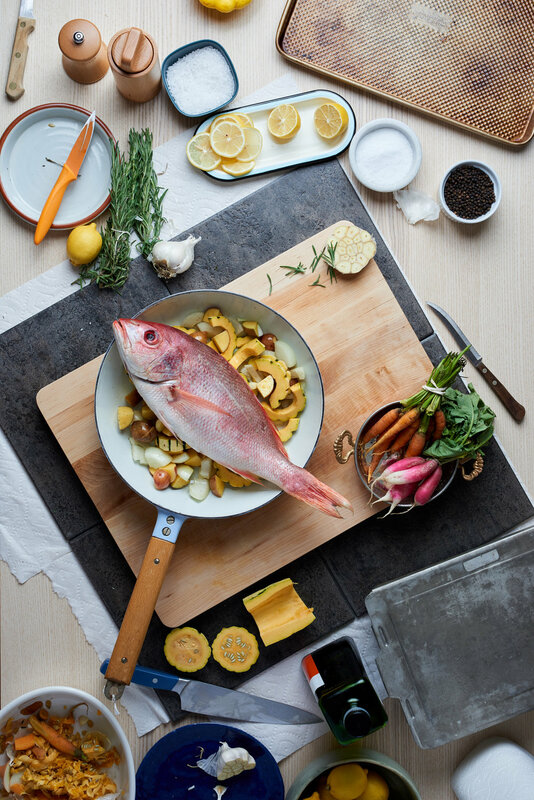 Next we went over to United Noodles for to see if anything looked interesting and we found this beautiful red Silk Snapper that we definitely wanted to do something with. We started with the Bronzini and came up with a few different looks. Hannah had some awesome dishes for props and we just bounced ideas off of each other until we got where we wanted to be. We lit the whole thing with one Alien Bee in a medium softlighter and a reflector. Simple set up but beautiful lighting. We spent a full day shopping and shooting, and it was an awesome experience. I definitely want to shoot more food work and Hannah and I already have a few more ideas lined up that we want to work on. If anyone in the Twin Cities is looking for some food work done, definitely reach out and let me know!